In previous posts I’ve covered basically loading data in Spark (with Sparkling in Clojure) and doing some half funky stuff with it. That’s all very well and a good point for starting with, but it’s a touch limiting. Ultimately it’s very easy to get some numbers out, crack some percentages and plot a 2d graph, Google Map or infographic. What I want to do is something far more interesting than that (in my eyes), use some machine learning to create new things based on what we have. With a sufficient amounts of text we can do some interesting things. The nicer thing about Markov Chains is they are simple in terms of how they work. With a corpus of text loaded we can create some fresh output text. More text, better results. A Markov Chain is will randomly walk an existing lookup, based on the corpus text, and randomly select the next word to use. By looking at the previous words in the original corpus the chain can weight what the next random word should be. Examples I’ve seen have created Paul Graham startup stories and Garfield cartoons. 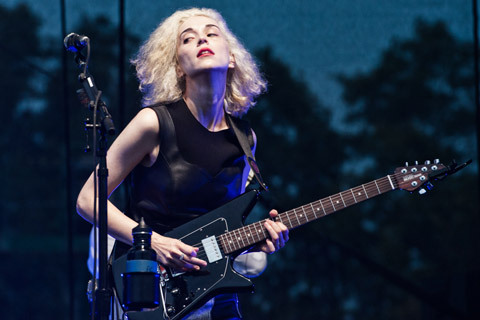 I could create my own St Vincent song, in fact that’s what I’ll do. “Jase, I think you might like this….”, said my dear friend, sound engineer and my soundscape recordist, Dez Rae. He was right. That was in 2010/2011 before rock royalty beckoned for Annie Clark (and rightly so)… I bought what I could on the spot, it was so unique. The great thing is the variety of songs, no two come near each other and no two albums are the same. In a text editor I’ve copied/pasted the lyrics from the Strange Mercy album. An album full of lyrics (all copyright to Annie Clark I hasten to add), all the blank lines taken out, that’s our corpus. Now I need some code to so the Markov Chain, I’m not writing it this time, someone else has done the work far better than I could of in Clojure so I’m using his. Like I said, with a corpus of text loaded in the program will look at next words and create a lookup of words and scores. When I generate new sentences the next word will be governed by the lookup table and word scores. Simple. I’m going to loop 15 times to create a song. Let’s not a party I owe you ever really care for me? But when you ever really stare at you could take us? Bodies, can’t you can limp beside you ever really stare? It’s still copyright to Annie Clark, they’re still her words just a little more random. If I was going for a title, “My Mulling Days” would be a front runner. I could have put all the lyrics from all the albums in and come up with a more refined lyric set, but as a test and a wee tribute to one of my favourite artist’s, it’s a good start. Do We Need An Executive? So I’ve got my new data centre. With no MLA’s asking questions though we want to generate some to give the impression that something is happening up there. All those potential FDI clients will want to see the powerhouse working…. If we do a well enough job we would let the Markov Chains just do the work altogether but let’s not get ahead of ourselves just yet. I’m going to extract the question text from the MLA questions. 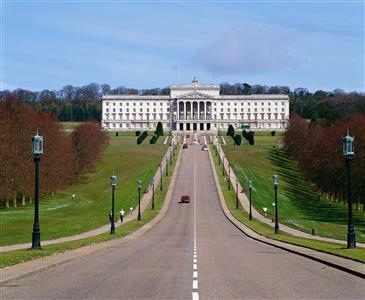 I’m going to use the NI Assembly Spark code (you can read part 1 and part 2 if you want to know the inner workings) and extract just the text. That gives me a [key, [value,value] set of members with questions for that member. Now I need to map through each member, then map each question block and extract the question text. That’s the first element of the RDD and it has three questions. There’s a lot more…. a whole lot more. I want to save this out as a text file which requires a bit more mapping. That now gives me a large text file of MLA questions throughout history. With 94,000+ questions to train my Markov Chain I’m expecting some interesting results. I only want to generate one question at a time so I can remove the loop (where I was generating 15 lines for generating St Vincent lyrics. I’m going to run this from the REPL so I’m not reloading and reindexing all the text. Let’s create some MLA questions for next week. "To ask the First Minister of Finance and deputy First Minister what steps are entitled to ensure greater weight is the reasons that no reports into the Housing Executive Gateway Reviews his Department has been allocated to outline the Minister for Social Services and to a CCEA test; and (vi) South Armagh city area." 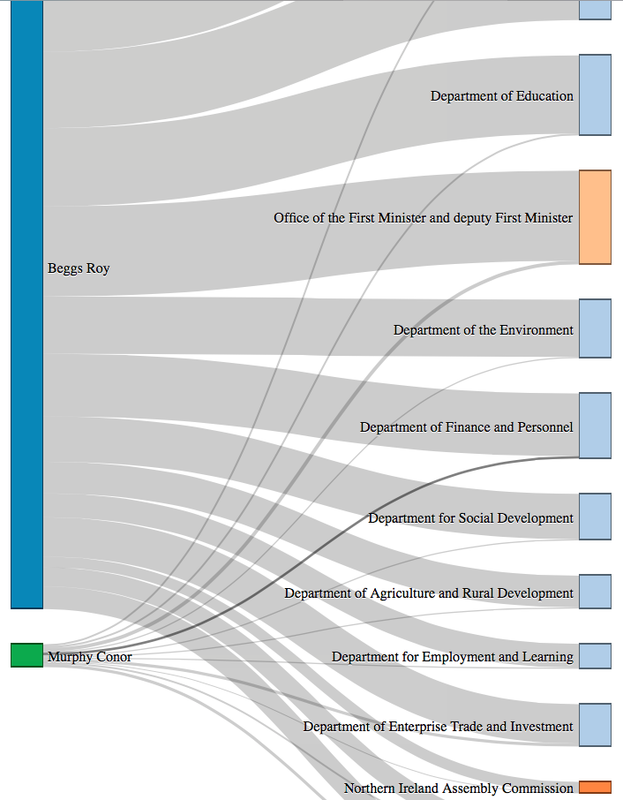 "To ask the Ethnic Development what recruitment process used to detail, broken down by (i) who are assessed as possible help graduates in the Minister and Personnel for each spouse or not personally signed off a whole." "To ask the cost, of Ulster in the Minister of order an organisation, broken down by Health and Learning for exemption." "To ask the Minister of the last three years." "To ask the First Minister what sentences would bring forward to July bonfires on the progression on planning application for rural area of Health, Social Services Directive; and location and what they are assisting these guidelines; and Leisure for Social Services and Rural Development what additional counselling, including those in 2008/09." "To ask the First Minister and (ii) if so (ii) whether students with identities outside the number of the Employment and whether the Office of the Environment Minister." To be honest that was far too much fun! If you have access to plenty of text then you can run Markov Chains to produce new content with little difficulty. For a more refined method it’s worth looking at Artificial Neural Networks which is being used by some publishers for content creation. So you’ve read the Smart Cities book, you’ve followed every Nate Silver post in 538….. now to put it all into practice. An opportunity to do some very serious future cities planning with the Greater London Authority and MastodonC. Would you like to join an ambitious and forward looking unit of analysts, researchers and data experts, working for one of the world’s truly global cities? The Greater London Authority (GLA) is working with the big data analytics specialist, Mastodon C to create a solution ‘Witan’ which allows subject experts and policy makers to integrate different types of hard and soft model, in order to explore scenarios for the futures of their cities. You will play a key role in the project, working closely with GLA staff and Mastodon C’s team. You will have the opportunity to help build up a secure City Data counterpart to the GLA’s award winning open data London DataStore. As well as designing reproducible procedures to shape and clean the data, you will actively seek opportunities to link datasets together as part of creating an analytical data store. You will also gather user stories from policy teams and analysts and devise/apply tests for Witan modules as they progress through Alpha and Beta releases. This is a great opportunity to develop your skills and experience, but you will need to bring with you a strong technical background including practical application of data science in a work setting. In addition to a good salary package, we offer an attractive range of benefits including 30 days annual leave, interest free season ticket loan, interest free bicycle loan, childcare voucher scheme and a career average pension scheme. London’s diversity is its biggest asset and we strive to ensure our workforce reflects London’s diversity at all levels. Applications from Black, Asian and Minority ethnic candidates will be particularly welcomed as they are currently under-represented in this area of our organisation. If you have a question about the role then please contact the Resourcing Team by email on glajobs@london.gov.uk quoting reference GLA2981. Closing date for completed applications is midnight Sunday 20 September 2015. Interviews will take place on Monday 28 September 2015.